Long before William Mulholland and Fred Eaton began building the Los Angeles Aqueduct, water was being diverted from the Owens River and tributary streams for agricultural purposes. 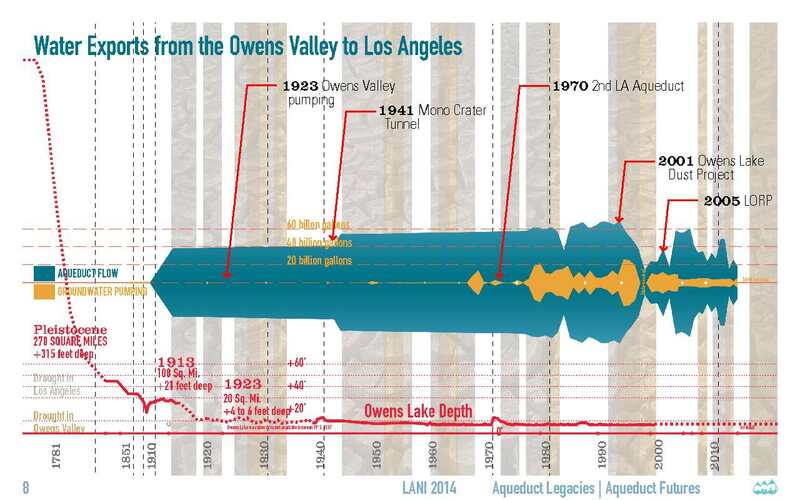 Starting in 1913, the Los Angeles Aqueduct began siphoning water from the Owens River down to Los Angeles. 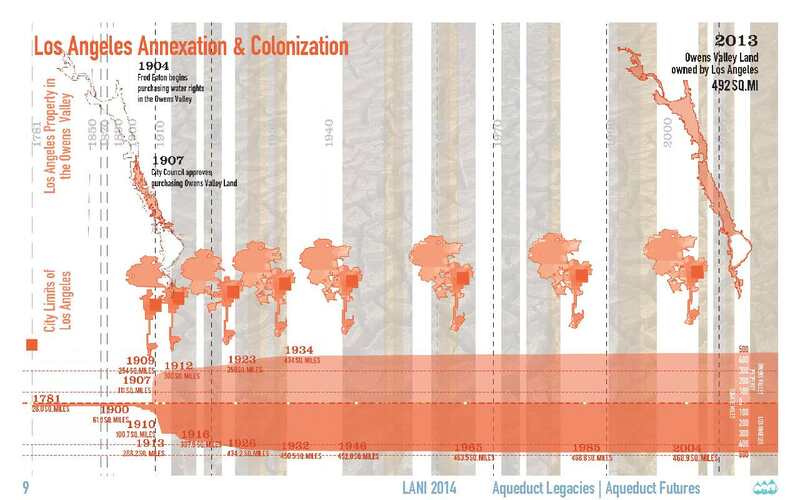 Water from Mono Basin joined this flow in 1941 followed by pumping the groundwater [orange]. 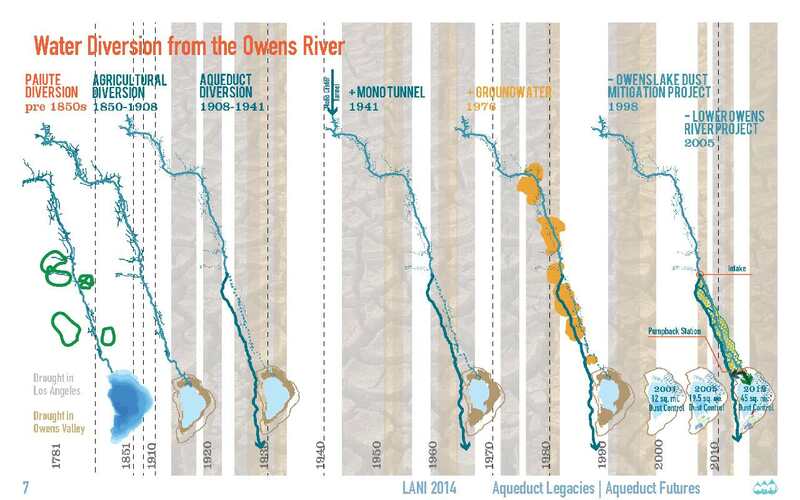 Purchase of Owens Valley land by the city matched the annexation of neighboring territory by the city as communities wanted access to the Aqueduct’s water. Once the Metropolitan Water District completed the Colorado River Aqueduct in 1939, growth of the City’s limits slowed.